Imagine the scenario when you are at home comfortably laying on your couch and watching your favorite show,then suddenly your Dstv,GoTv or Startimes subscription expires suddenly. To complicate issues you probably do not have the strength to go to the nearest subscription outlet to make payment or perhaps your too busy to make that trip. The Good news is that you can easily pay for your Dstv,GoTv or Startimes Tv subscription straight from the comfort of your living room. All you need is a mobile device and an internet connection,now lets get to it. Its very easy to make payment through Quick teller,just follow the following steps to make payment online. Quickteller make use of integrated billing system (IBS),you can be reconnected within 5 minutes. Go and Switch on your decoder on if your account has already been disconnected. Select the DStv bouquet of your choice. Enter your e-mail address, smart card number, and enter your mobile phone number. Enter the DStv subscribers name and confirm that your smart card number was filled correctly. Enter your card details i.e. Card Number and Expiry Date as written on your debit card. Once the transaction has been completed and your DStv account is credited, your viewing will be restored,easy right? The eTranzact BankIT solution allows you to pay for your subscription, directly from your bank account, online and on mobile. Dial *389*9*smartcardnumber# then follow the prompts. Proceed to the payment summary page showing date and amount due for payment. Input Bank Account number and select your preferred Bank. Dial *389*00# with phone number registered with the nominated Bank to receive an OTP code. You are now able to pay for your DStv subscription using Paga e-Pay visit eazy.dstv.com. log into your account,You will be presented with a list of online payment methods that are available. You can also make payment for your DStv subscription using via GlobalPAY, visit eazy.dstv.com and then log into your account. Click on Complete Payment GlobalPAY.com. You will be redirected automatically to the GlobalPAY website where you will be prompted to select your Card Type and then enter your Card Number. After payment you will redirected back to your account on the DStv Eazy website. Easily pay for your subscription using your VISA and MasterCard online (eazy.dstv.com/pay). Enter the cardholders’ number, card number, CVV number and expiry date as displayed on your VISA and MasterCard card. Nigerians that bank with Zenith Bank can easily work into any Zenith Bank branch and register for Eazy Money wallet. Pay using your Eazy Money mobile wallet online. Simply, enter your mobile number and Eazy money PIN. So you have successfully payed for your Dstv subscription online and for some reasons you haven't been reconnected. Listed above are sit at home methods of paying for your subscription through the use of your mobile phone and an internet connection. What if you remember that your Dstv subscription is due,you are not at home but you happen to be in your bank or near an Atm machine,you can still make payment easily. Make sure that your decoder is switched on,or call someone at home to switch on the decoder. That's all,after waiting for 10-15 minutes and your viewing is not restored just quickly do the following. Text RA followed by the first 10 digits of your smart card number to 30333. You can also walk into these following banks and make payment for your DStv subscription. Fill the teller,input your name, phone number and IUC number. Pay cash at the deposit counter. You can also pay by instructing your bank to set up a monthly direct debit. You can also make payments via Konga,Baxi Box,Pay Arena,MCA office. You can easily pay for your GOtv subscription easily through your mobile phone from the comfort of your home. QuickTeller allows the subscriber to pay into his subscription account for the renewal of his services from the Quick Teller web link. This platform interfaces with the Integrated billing system (IBS) and gives the subscriber immediate values that prompts an automatic re-connection of the disconnected service within 5 minutes. Enter the GOtv subscriber's name and confirm that your IUC number was filled correctly. Click PAY once, the transaction has been completed your GOtv account is credited, your viewing will be restored automatically. You can pay for your GOtv subscription using Paga e-Pay. To make an online payment for your GOtv subscription using via Paga e-Pay, Click here or simply visit eazy.gotvafrica.com and then log into your account. Select the type of online payment methods that are available in your country. Payment via your bank account at the comfort of your home is possible with The eTranzact BankIT. It allows you to pay for your GOtv subscription, directly from your bank account, online and on mobile. Zenith Bank customers can activate Eazy Money mobile wallet. Go to any Zenith bank branch and register. Then log in online (eazy.gotvafrica.com/pay). To make an online payment for your GOtv subscription using via GlobalPAY, visit eazy.gotvafrica.com/pay and then log into your account. Fill in your payment details as required and then click on Complete Payment GlobalPAY.com. You will be redirected to the PayU payment page to enter your card details and complete the payment. The Stanbic Mobile Wallet is USSD-based,to subscribe for your GOtv you are required to do the following. Also You can also pay your subscription on any WAP enabled phone (for example, Nokia or BlackBerry). This is not an online transaction,GOtv subscribers that bank with FCMB can walk into any FCMB bank nationwide and make payment. After paying for your GOtv subscription and your still experiencing error codes, Click here to access GoTv Africa website. 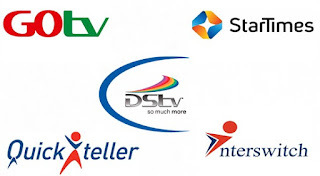 I will show you how You can easily make payments for your Startimes Tv online from an internet enabled mobile device or a phone without internet service. If you don't have a quickteller account for startimes subscription,this is how you create a Quickteller account. Go to your email address,you will receive an activation code,you will need that code to login and activate your account. Click on the Make Payments tile. Click on the Select a Service Category drop down arrow. Click on the Startimes tile. Enter your Smartcard Number, Email, Mobile Number and the Amount. Click “Continue” and continue payment. Within ten minutes of a successful transaction, your startimes Tv decoder and account will be reconnected. If you don't have internet access,you can still subscribe and make payment for your Startimes Tv. Don't load this on your phone. With Guaranty Trust Bank's *737# Code,you can easily pay for your startimes subscription at home,you don't even need internet connection. Step 2: input the last four digits on your Atm card to complete the transaction. Interswitch has brought another service that uses USSD service. This service is very efficient because it automatically connects all your bank account linked or registered to the number your sending the sms from and gives you an option to select the particular bank account you want to debit. This code works on all verve cards,master cards,and all banks on the interswitch network. This code also works for Glo,Etisalat,Airtel and MTN Networks. 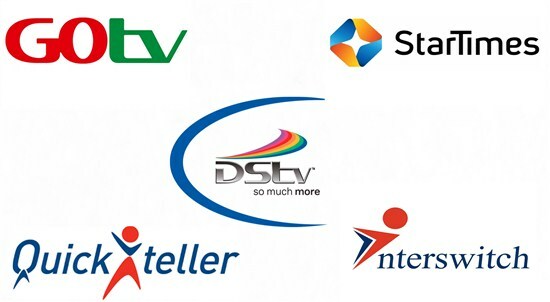 1. subscribe in any of startimes business offices?